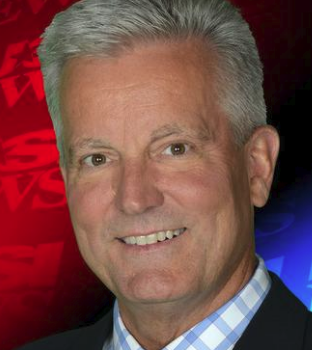 Former KUSI-TV anchor and reporter David Davis, who retired earlier this year, was killed in a crash in Texas, the television station reported Wednesday night. According to his Twitter page, Davis, 62, was a “motorcycle obsessive” who set out on a riding tour of the country on his Harley-Davidson on Aug. 21. His adult son and daughter said Thursday that Davis “lived passionately,” and on this trip had made many stops to visit family members and friends, including a stop in his hometown of Memphis. “It warms our heart to know he spent his last days and weeks with people who all played an important role in his life — in his road trip across the country,” said his son Chas Davis, reading a statement from the family. KUSI reported that Davis was killed in a crash near Dallas. A spokeswoman for the family said the crash happened around 2 p.m. Wednesday. Over the past few weeks, Davis had posted photos of himself on Twitter and Instagram from Alaska, Nevada, Utah, South Dakota, Wisconsin and Michigan. His last Instagram post, from Saturday, showed him attending the University of Michigan football game at “The Big House,” Ann Arbor’s 107,601-seat Michigan Stadium. Other recent photos and tweets showed him at Mount Rushmore and in Las Vegas, reports The San Diego Union-Tribune.